If you’re really busy working on lots of different things then maybe you should think about limiting work in progress. If you start one thing and finish it before starting the next one you can be much more efficient. The less work you start, the more you will finish! I used to have a job in an IT support team. We were always hugely overworked. Typically, I would be working on three or four incidents, a couple of problems, some changes, and various pieces of project work – and that’s without all the admin tasks I had to do just to keep my manager happy. On a bad day, I could work really hard on all of my outstanding tasks, without getting anywhere. It took me a long time to learn the importance of limiting work in progress (WIP). Eventually, it began to dawn on me that instead of constantly switching my time and attention between all the outstanding tasks, I could simply focus on one thing at a time and keep working on it until it was complete. Then I could start on a second task and work on that until it was finished. This, I discovered, didn’t just allow me to do each task more efficiently and effectively, but also to get through more tasks. This idea has been summarised by David Anderson, the author of Kanban: Successful Evolutionary Change for Your Technology Business, in the phrase “Stop starting and start finishing”. In this diagram, you can see what happened when I started four tasks at the same time. I made a small amount of progress on each task, but none of them was even half finished. Instead of starting work on four things on Monday morning, and not getting any of them finished. I could have started one task and finished it, and then started another. Figure 2 shows this situation. By the end of the day, Task 1 is complete and Task 2 is well on the way. Now imagine how this feels at the end of the day. If you start four tasks and don’t finish any of them, you end the day with a feeling that you haven’t accomplished anything, and all four tasks will still be there waiting for you in the morning. Let’s suppose they are incidents you are trying to resolve. All your customers will still be waiting too, and nobody feels satisfied. On the other hand, if you start and complete two tasks, you have real tangible achievements. One customer has had their incident resolved and you can report good progress to the second. Starting one thing at a time helped me to do a much better job. And it isn’t simply about being methodical. People are not very good at context switching. Every time you move from one task to another you lose a bit of information, and a bit of momentum. This means that a task that would take four hours if you just worked on that one task might take five hours if you keep getting interrupted to work on something else. So managing four incidents that take four hours each would require 16 hours of your time, but if you keep switching there and back between them it might take a total of 20 hours. People and teams that limit WIP deliver more, and produce better quality work, than those who start too much work, and keep switching between tasks. You could limit yourself to just working on one task at a time, or it may be more sensible to work on two or three. 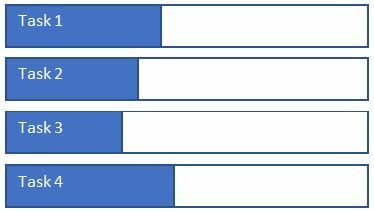 This depends on exactly what tasks you have, and whether you might need to wait for something while you are working on a task. What is important is that you decide on a WIP limit and then stick to it. If you’ve decided that it’s a good idea to limit WIP – and I hope that after you’ve read this blog you’ll at least be thinking about it – then you’ll need to consider the practicalities. What happens when a customer reports an incident? Surely you must start working on all of your incidents, as they come in? After all, you don’t want to leave your customers feeling neglected and unhappy. It turns out that this really isn’t exactly true. What customers care about is when their incident will be resolved, rather than who is working on it and what time they started. If you can resolve their incident more quickly by limiting WIP and not starting on their incident until you can focus on getting it fixed, then they’ll be happier than if you take longer because you are working on too many things at once. If you do decide to limit WIP, the most important thing you need is a way to visualize all your outstanding work, so you can keep track of it. The best way to do this is with a Kanban board. You can use software to help with this, but at its simplest, you just need a whiteboard with three columns, labelled “Not Started,” “In Progress,” and “Done.” You post notes in the “Not Started” column for pieces of work that need doing, and move these across the board as you work on them. You can read more about Kanban in this blog that I wrote, or in this white paper published by Axelos. 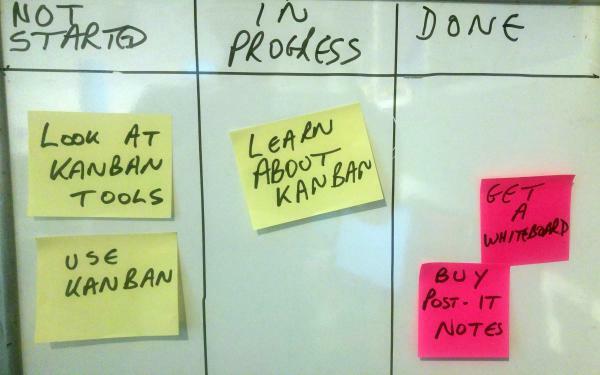 If you want to try using a software Kanban tool then you can get free versions of LeanKit, Kanbanize or Trello. If you’re constantly switching between tasks, with far too many things going on at the same time, then you should seriously think about limiting your work in progress. If you start fewer things, then you’ll almost certainly find that you finish more! So maybe it’s time that you stopped starting and started finishing. Stuart is an ITSM and security consultant, trainer, and author who has worked with clients in many countries, helping them create business value for themselves and their customers. He was the author of the 2011 edition of ITIL® Service Transition and lead author of RESILIA™ Cyber Resilience best practice published in June 2015. Now that his children have all left home, he has plenty of time on his hands for contributing to our blog - lucky us! Absolutely Peeter, managing the flow of work is a fundamental idea in Eli Goldratt’s Theory of Constraints.